Rat King is a two-person game development studio. Have a look at some of their projects! We are Jana Reinhardt and Friedrich Hanisch, or in short: RAT KING. 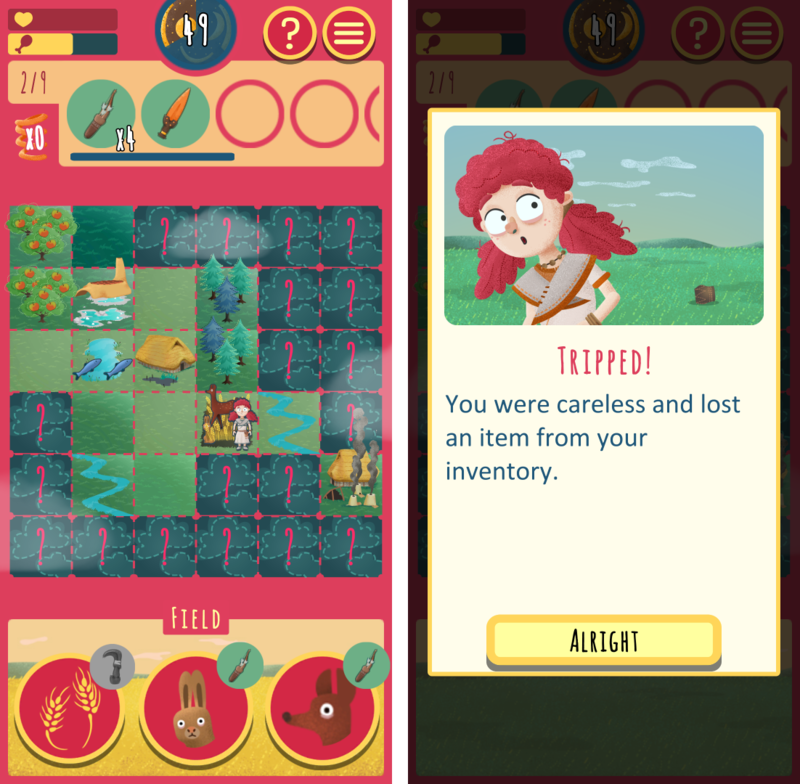 We create games from the idea to execution - commercial and free, art and serious, dungeon crawlers and story games. You name it! 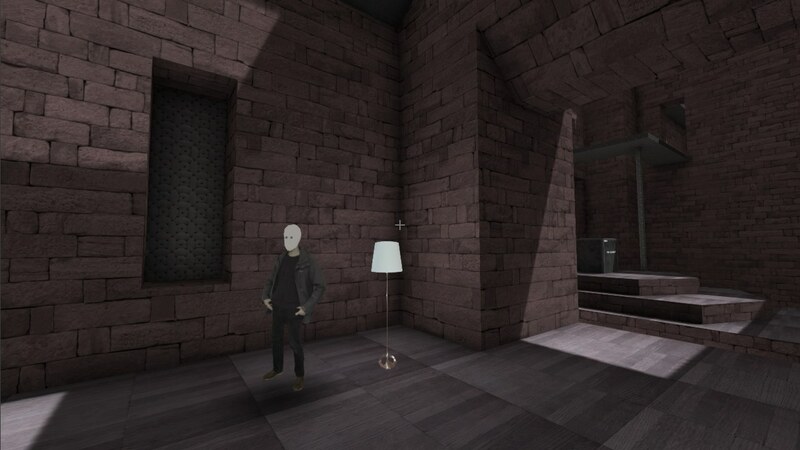 Our emphasis lies on mainstream-incompatible designs, atmosphere and characters. 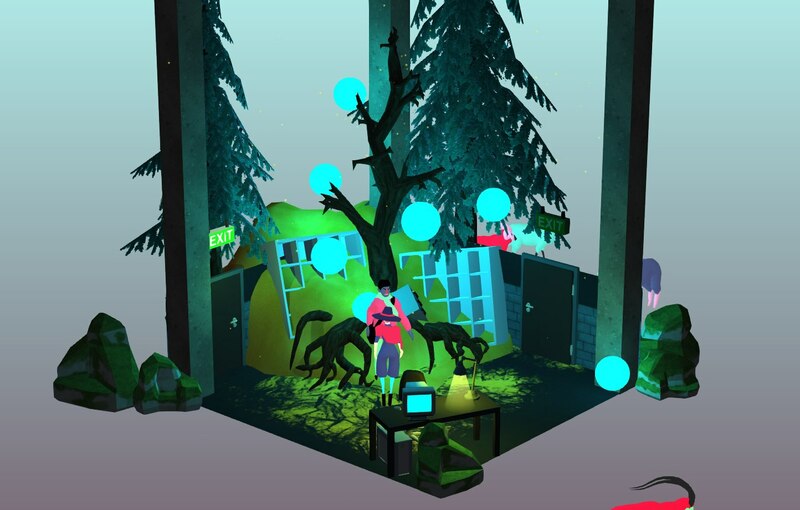 Regular participation in game jams is important to us, where one can work quickly on new ideas in an intense atmosphere with like-minded people. For our creations we use Photoshop, 3dsmax, Unity, coffee and mild confusion. To send us a message, click the button below. 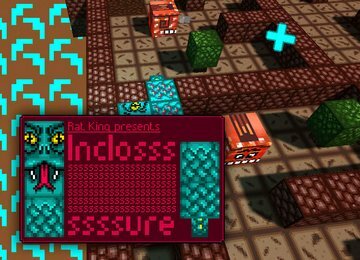 Be sure to read our blog if you want to stay informed about Rat King’s activities (game development and musings) - and subscribe to our newsletter! 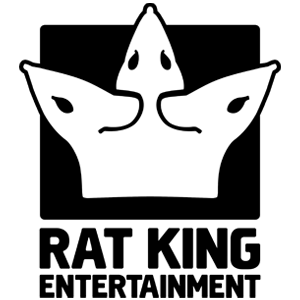 © 2019 - Rat King Entertainment - Website powered by Hugo, theme based on Freelancer. 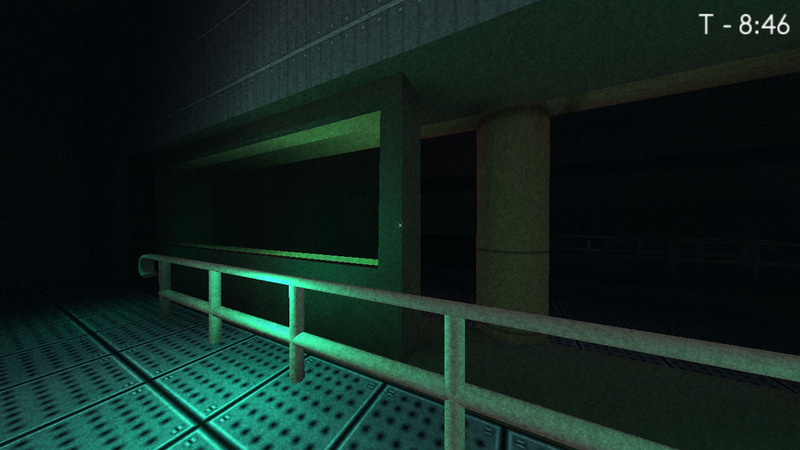 You walk around in a (seemingly) empty submarine. 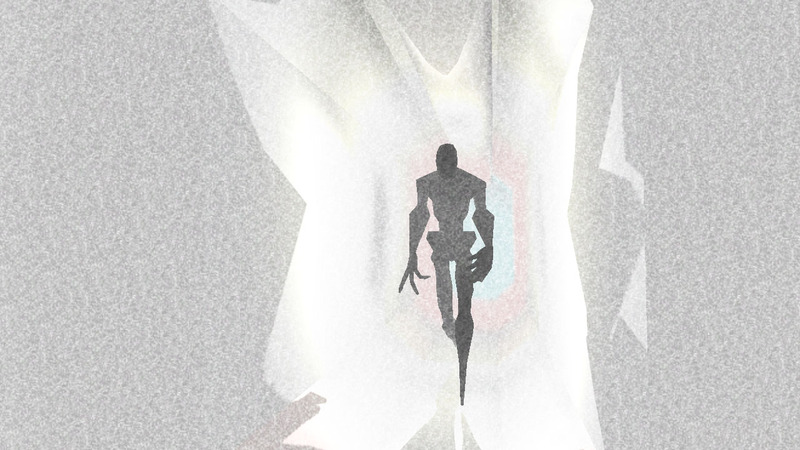 Quickly you will find out that you’re not alone… strange creatures are lurking in the shadows. Your heartbeat tells you if they’re near. 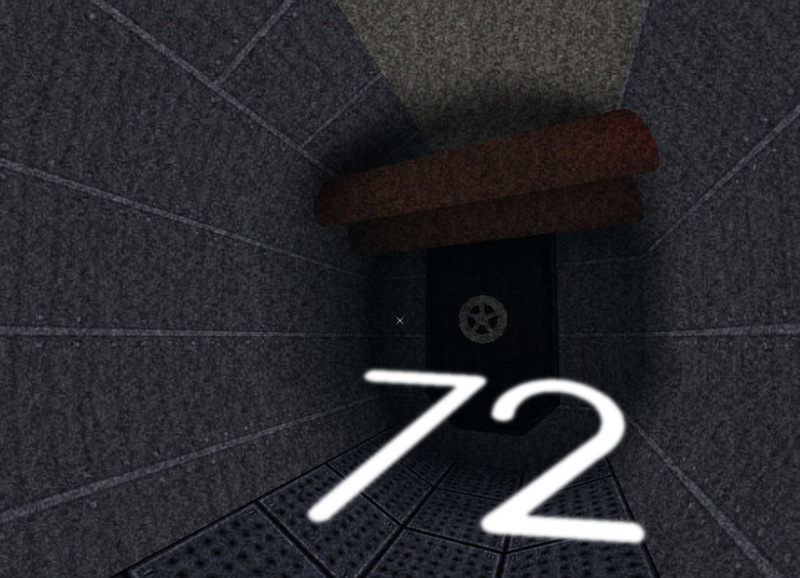 You have to destroy the submarine and find the rescue capsule in order to win 72. 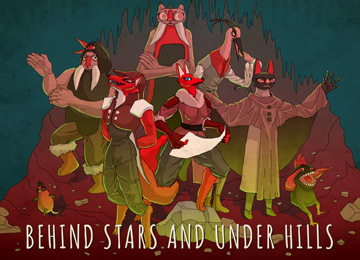 BEHIND STARS AND UNDER HILLS is a Dungeon Adventure with detective elements and animal people. 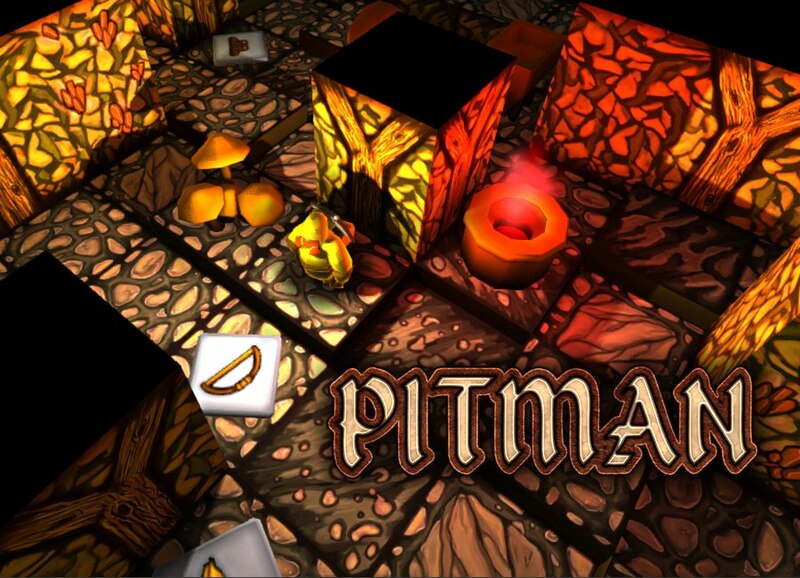 It puts emphasis on story and atmosphere, on interaction with NPCs (dialogues) and exploration. 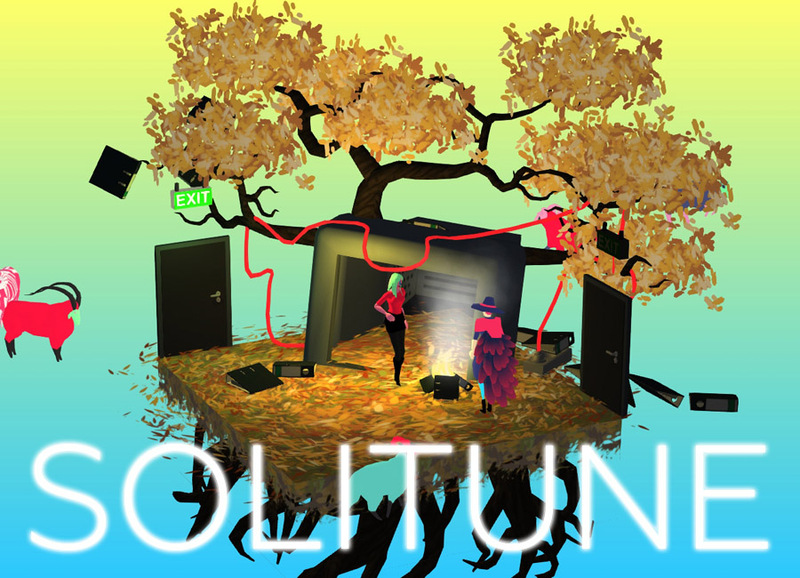 You play as a woman searching for her father, a famous discoverer whose last expedition went wrong a decade ago and is missing ever since. While there are fights, those are not the main focus of the game. Instead, players have to find hidden ways and items, translate scriptures, talk to the inhabitants, trade with them, circumvent and/or find ways around dangers (like enemies and traps), and use the light by placing torches. 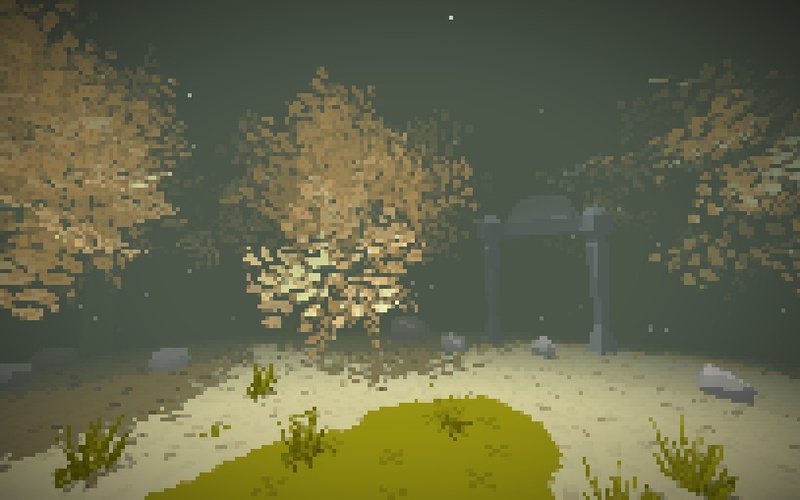 BEHIND STARS AND UNDER HILLS is currently in development. 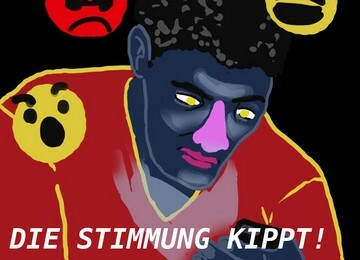 Its prototype co-funded by the Creative Europe Programme of the European Union and the Mitteldeutsche Medienförderung. BLAM BLAM PLANET is an infinite first-person shooter on a planetoid, initially created for the Ludum Dare #27 compo. The theme was ‘10 seconds’, so a lot of the gameplay has to do with 10 seconds. 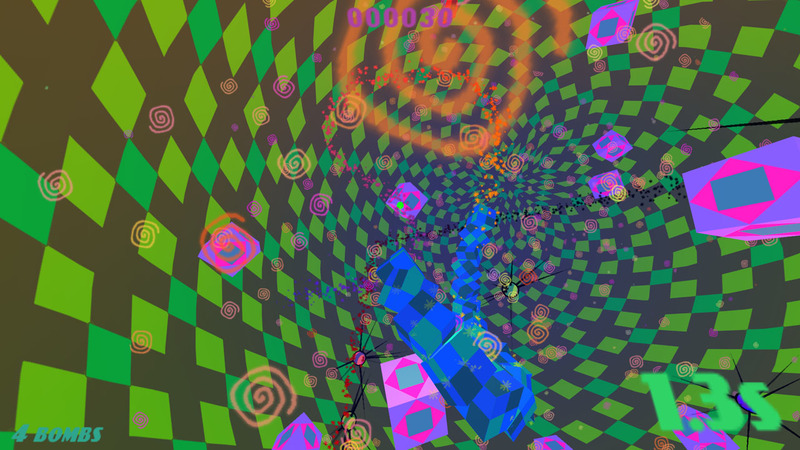 For example, every 10 seconds your weapon switches, resulting in chaotic bullet hell fun. 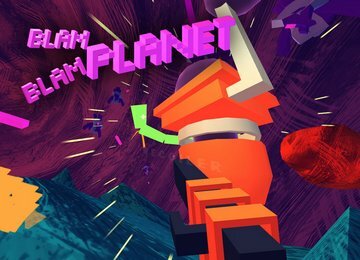 After the game jam we worked a while on it, and BLAM BLAM PLANET now supports local co-op multiplayer action for up to four players! 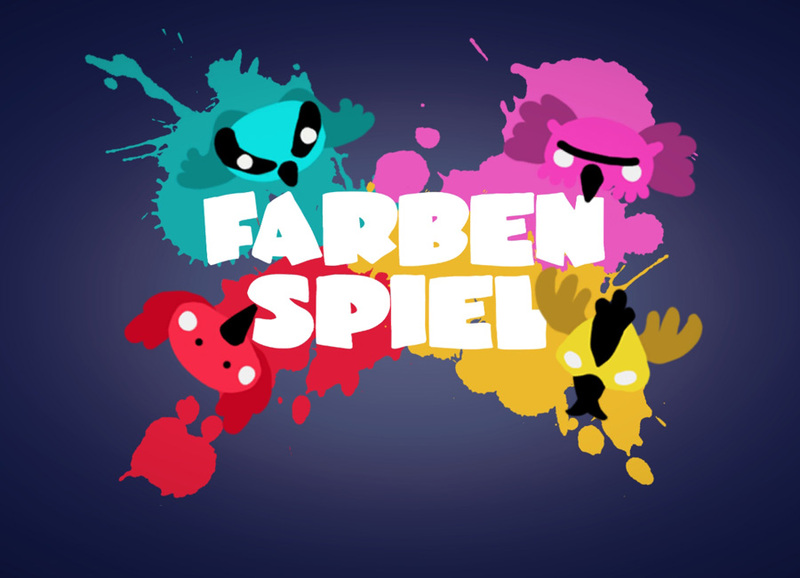 FARBENSPIEL is a local multiplayer arena shooter, to be played by 2 to 4 people on one screen. 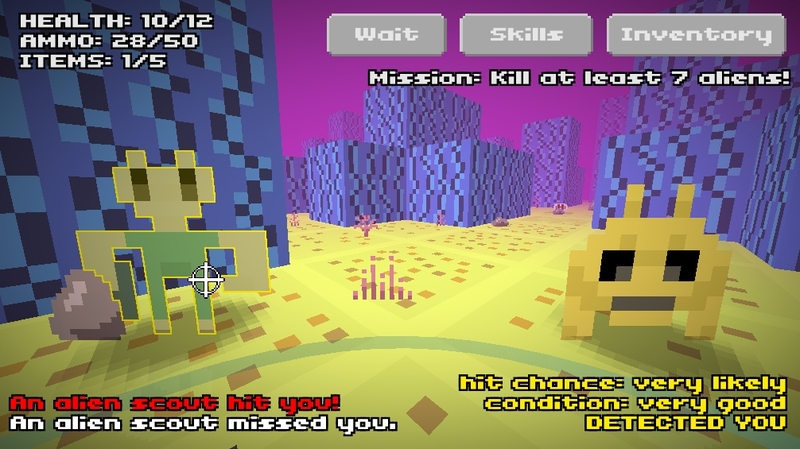 Shoot your friends, and hide in colored puddles you splashed on the floor! You move slower in puddles of a color different than yours. Every player needs a gamepad! 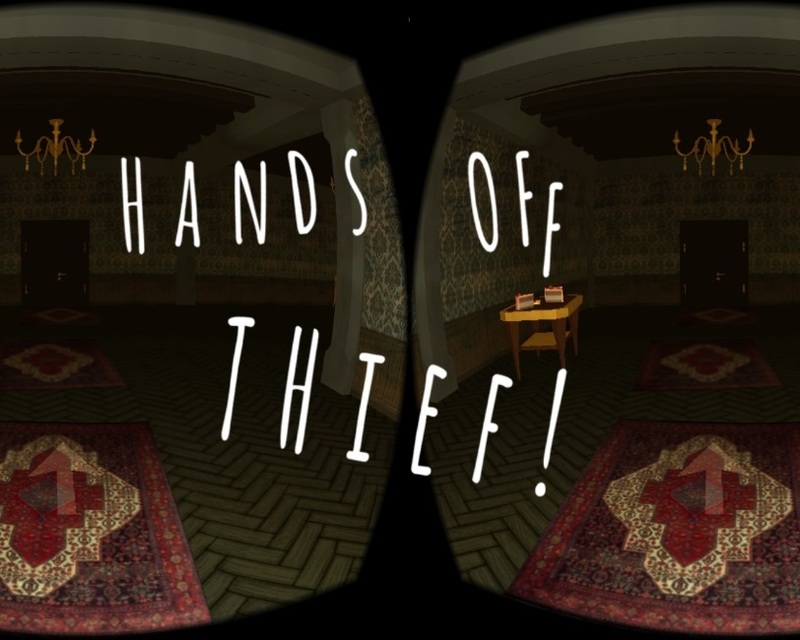 For the Global Game Jam 2017 we created HANDS OFF THIEF within 48 hours. 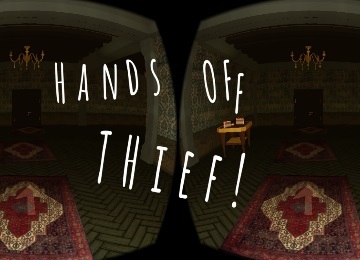 Our goal was to make our first VR game, the result is a very short, but immersive and atmospheric stealth game where the player takes the role of a thief who steals valuables in a haunted mansions. It’s necessary to evade ghosts and find a radio that will tell how to find the exit. 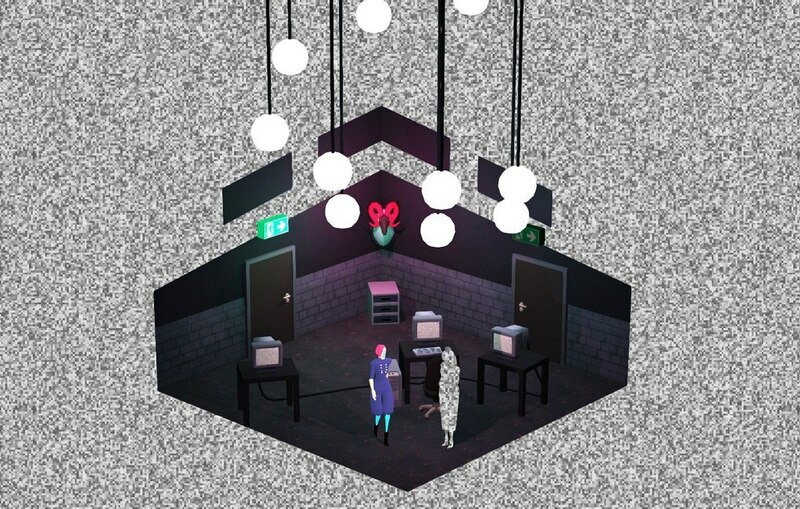 A post-mortem is available, as is a full gameplay video. 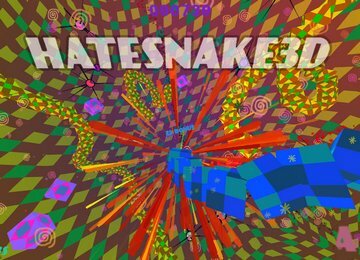 You’re a space-snake in a box, every 10 seconds your tail becomes a wall, you can use bombs, and the colors are pretty strange. There are other snakes and boxes and wtf. 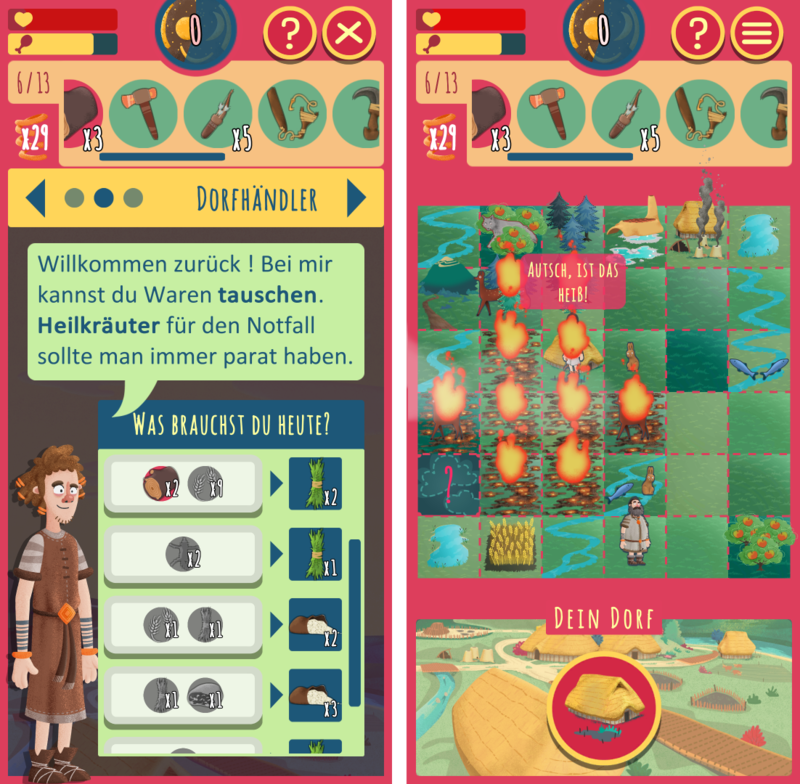 Initially made by Friedrich in 48 hours for the second IndieBuskers, and as as of 24th November 2014, it’s completely free. 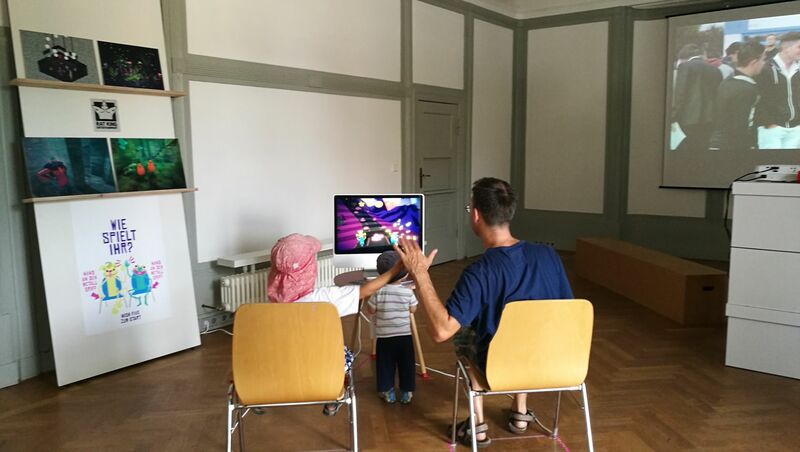 As we were part of the annual exhibition of the Burg Giebichenstein - thanks to our office being in an incubator right next to the university - we were also obliged to present ourselves. 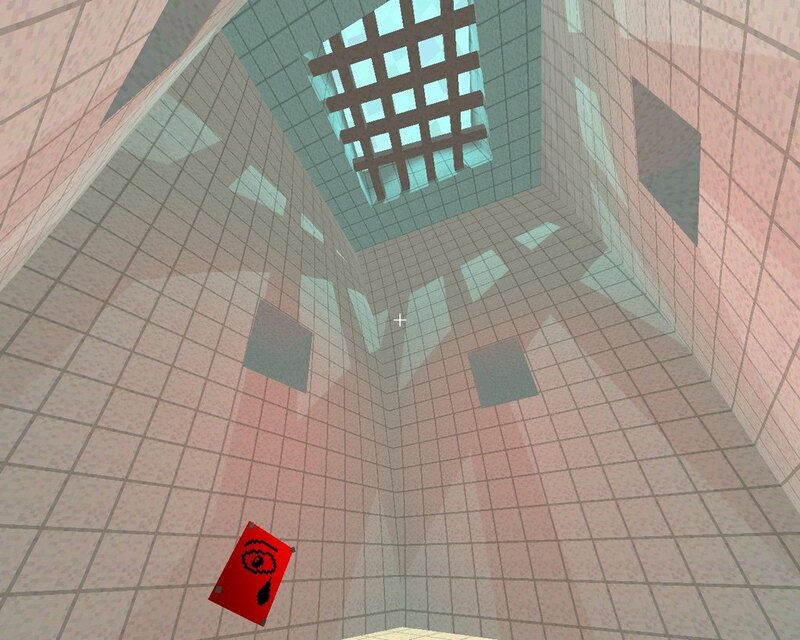 We knew that the audience was much more interested in art and design, than in story-driven, complex computer games. 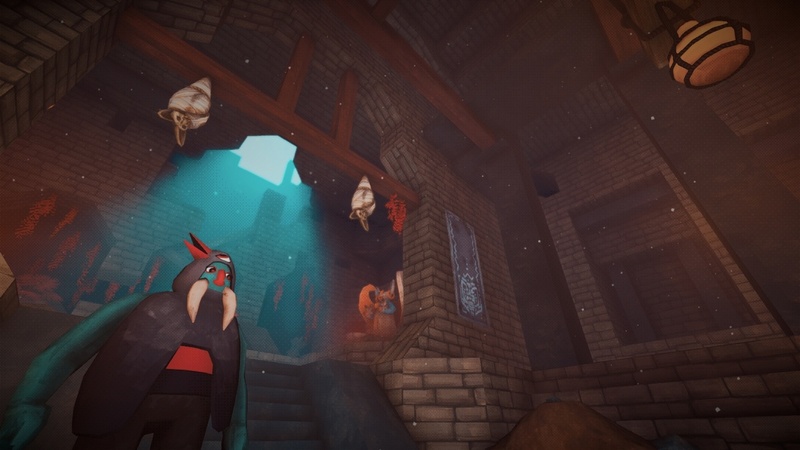 Thus we build a game that would be much less of a hassle to get into, and didn’t even think of showcasing our current project (Behind Stars and Under Hills, a dungeon adventure). 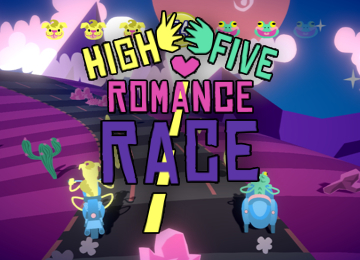 High Five Romance Race was the result, and we used Makey Makey to make it super accessible - people would sit down on chairs, and control the game with high fives only. Just like last time we also filled a wiki entry for the bpb’s wiki. 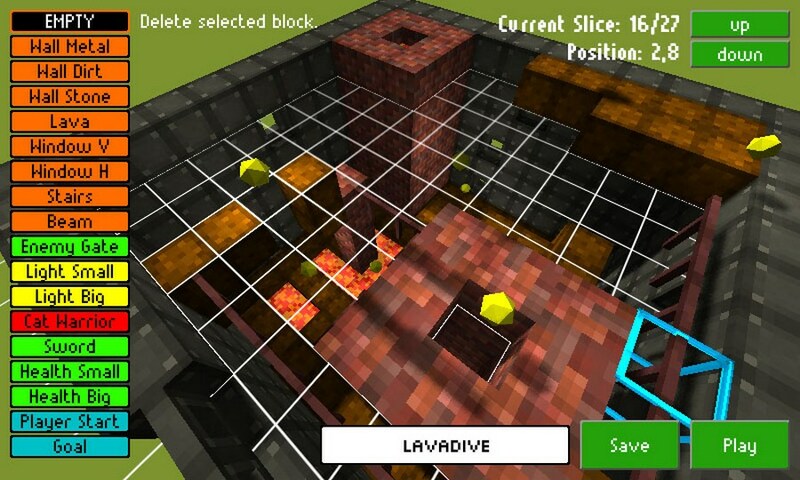 This game was our entry for the Global Game Jam 2012. 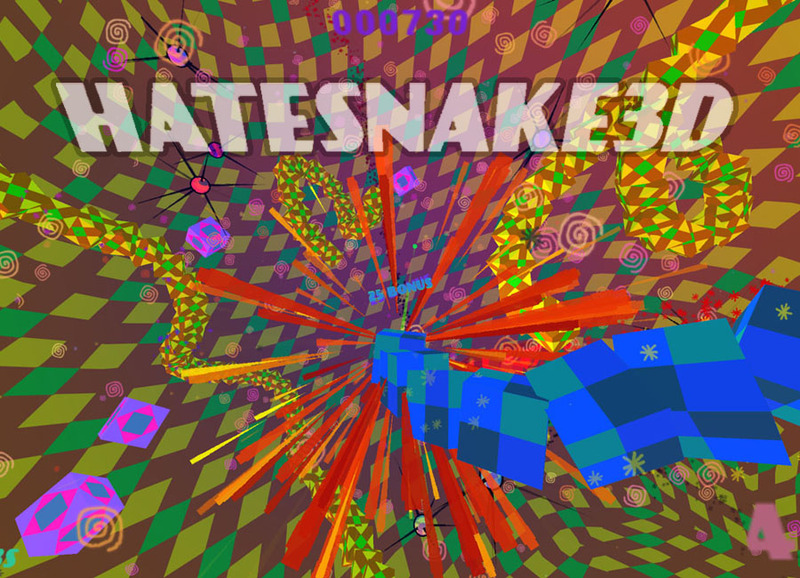 The theme was the picture of the Ouroboros and making a Snake-clone seemed pretty obvious. 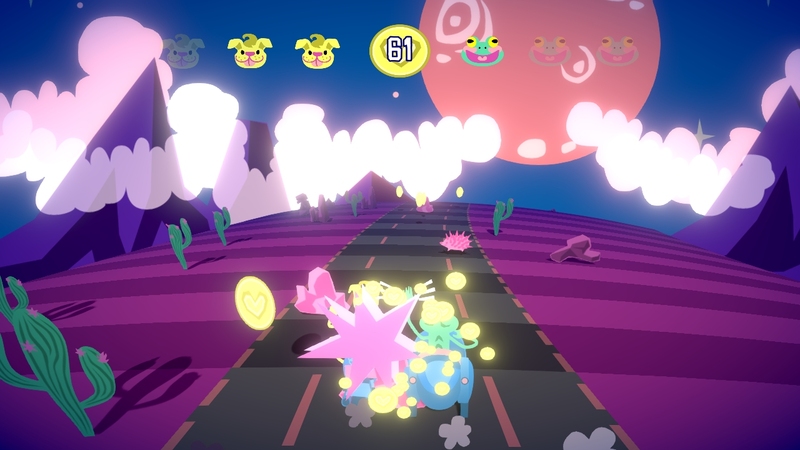 In INCLOSSSSSSSSSSSSSSSSURE the player controls a snake which collects upgrades to get longer and encloses enemies to destroy them. Made within 48 hours. 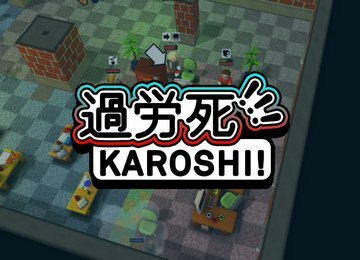 KAROSHI! 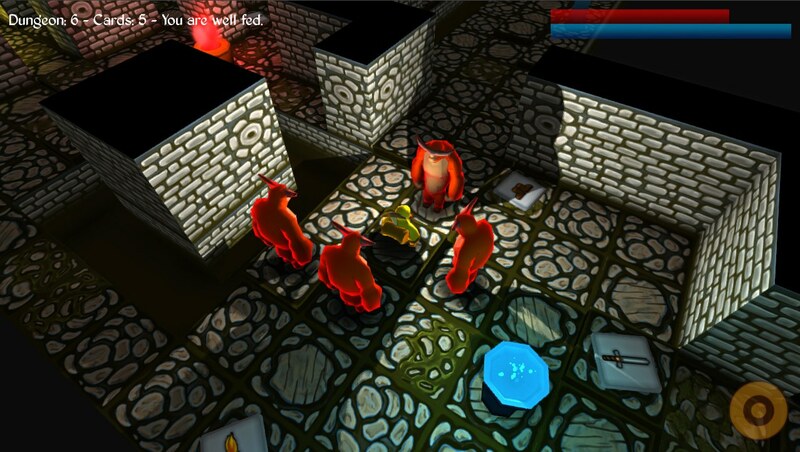 is a multiplayer-only strategy game in the style of Dungeon Keeper, made with Unity. 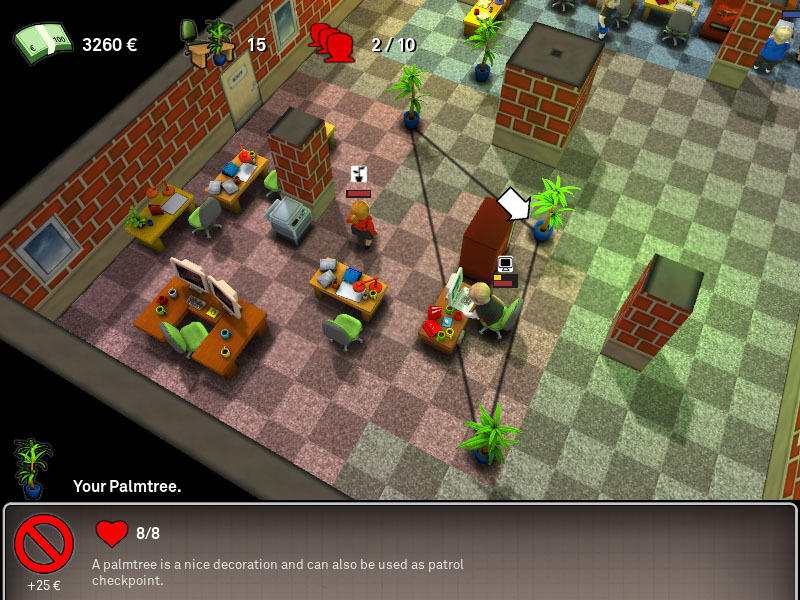 Build an office, recruit employees, and destroy the desk of the adversary company boss with your mobbers and vandals! 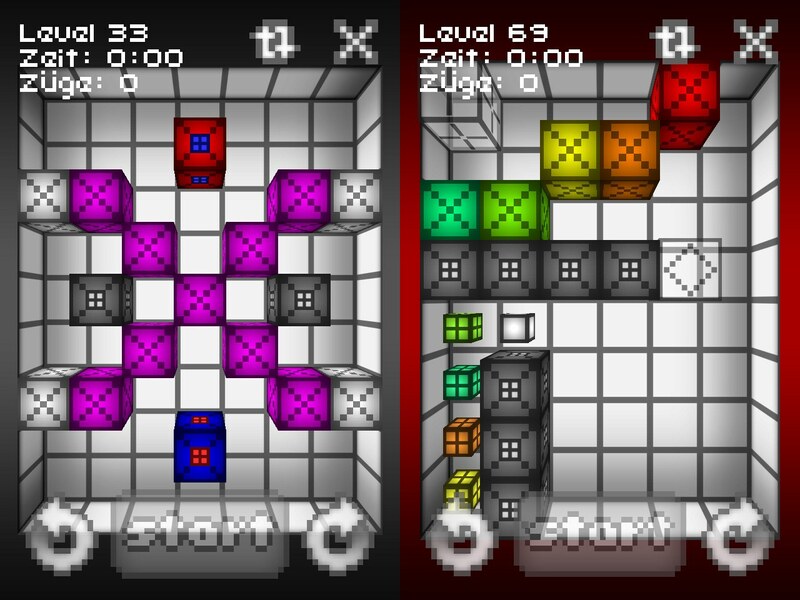 The game was made in 1.5 months as an entry for a small competition on the German game development forum ZFX. Possible themes were ‘bureaucracy’, ‘chocolate’, ‘storm’ and ‘oil’, and we picked the first two. Thus, employees which were attacked by interns or mobbers have to heal themselves on vending machines with chocolate bars. As the game is quite old and probably doesn’t work anymore, here’s a gameplay video. In ME AGAINST THE MUTANTS you play a liquidator, trying to get rid of the radioactive material lying around everywhere and, which wasn’t really part of the job, killing some mutants. 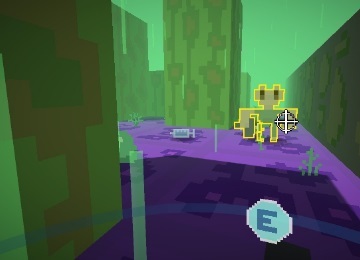 You can walk around and hit enemies - simple as that. But as you’re pretty weak, weaker than the mutants stumbling around, you get a device … the Infinity Generator. 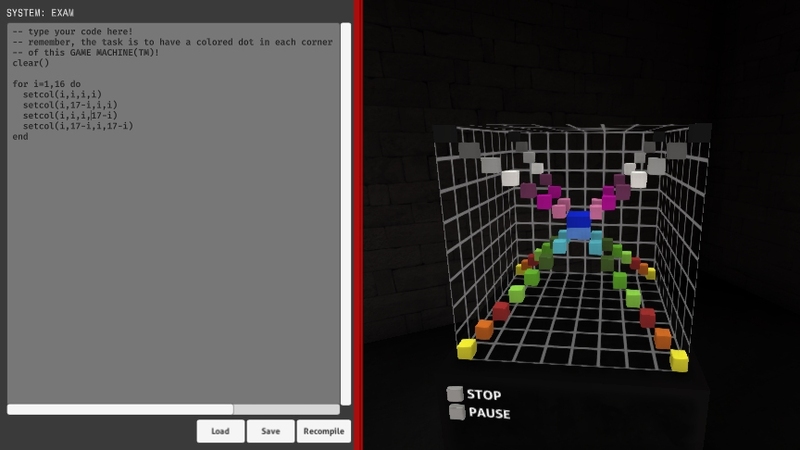 With it you can create rectangles which extend to infinite space (think Portal, but top-down 2D). 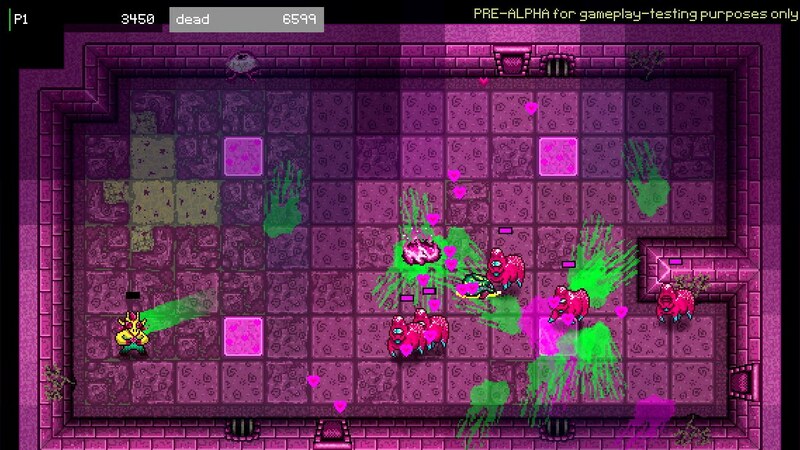 This game was made for the 7-Day-Rogue-Like Challenge 2012. 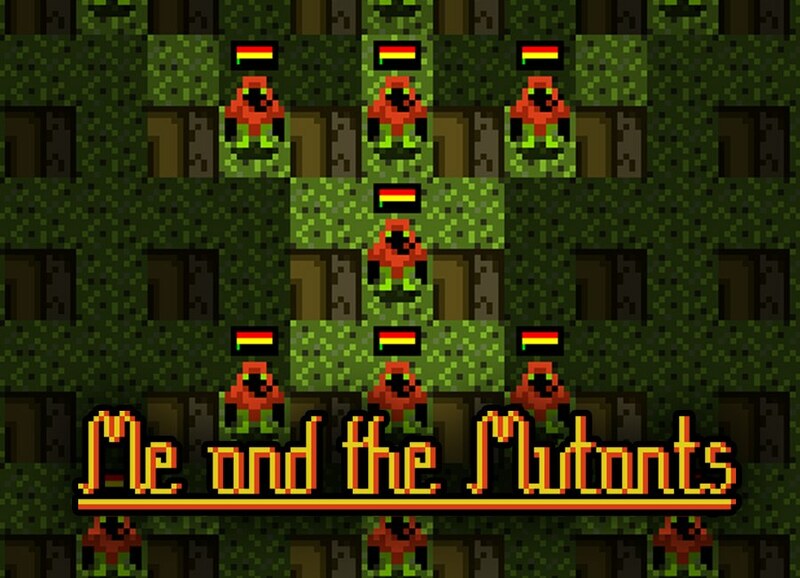 You can play it on Kongregate, or read a post-mortem. 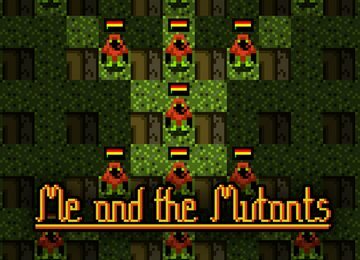 Our latest entry for the 7-Day-Roguelike-Challenge wasn’t submitted because we didn’t finish it on time. 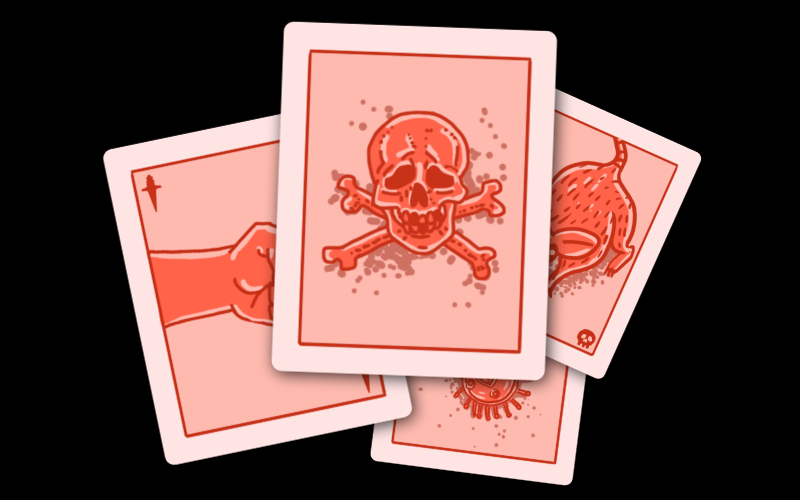 Still, an interesting combination of card game and roguelike came out of it, so we decided to polish it up and upload it. 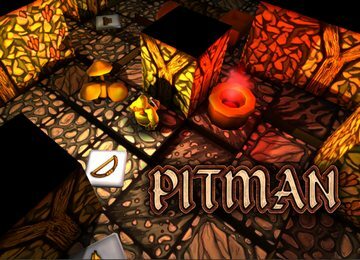 PITMAN is a turn-based 3D rogue-like with boardgame style. 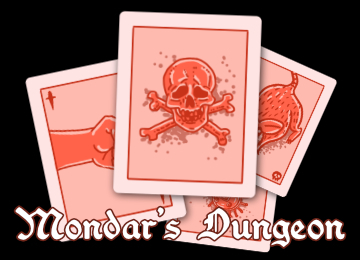 Everything you desire is inside the randomized dungeons: dwarfs, trolls, golems, treasures, potions, magic scrolls and runes, hammers, bows,… and don’t forget the monster moles and pretzels! 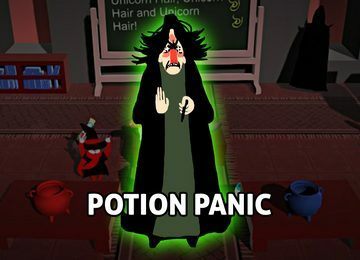 A two-player game where you try to please your Master of Potions by brewing a potion after his recipe - and have to keep care that you don’t get seen by your teacher while you try to sabotage your co-pupils potion or punch them. 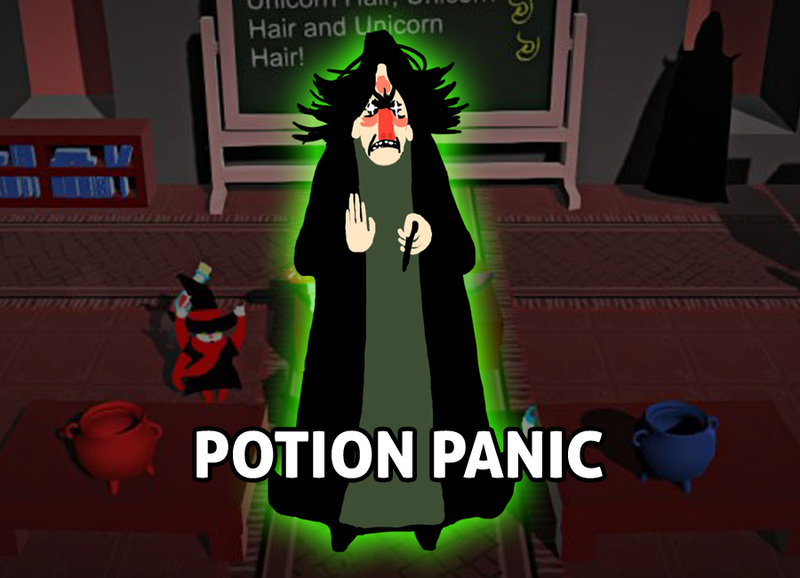 Collect all the needed ingredients, because it is you who wants to please your idol, the Potion Master! 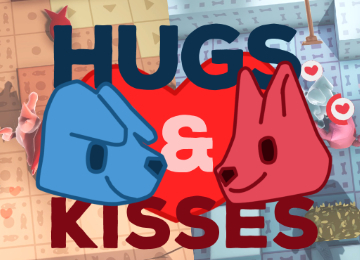 Made within 48 hours during the Global Game Jam 2016. 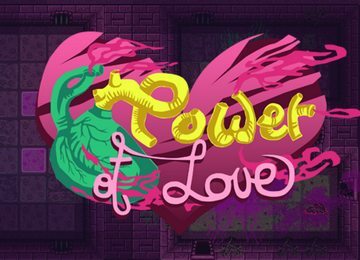 POWER OF LOVE is the prototype for a co-op dungeon crawler! 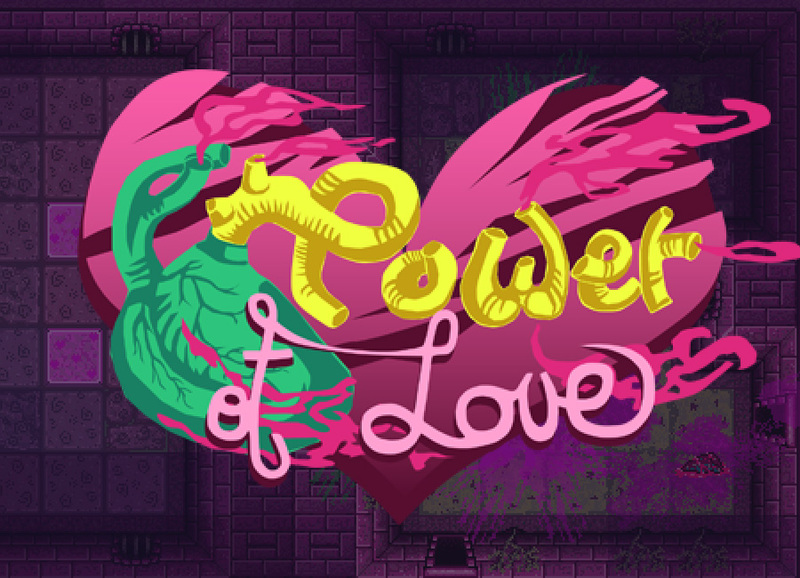 Shoot, slice, smash and stomp your way through the hell called relationship! 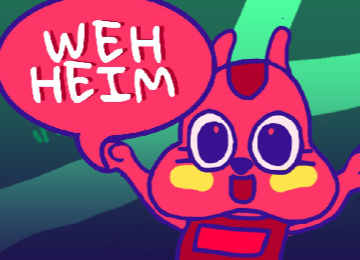 But don’t worry, with the help of your friend / partner / spirit animal and the magic that is communication you can survive together! Features a juicy soundtrack by KingLudi! 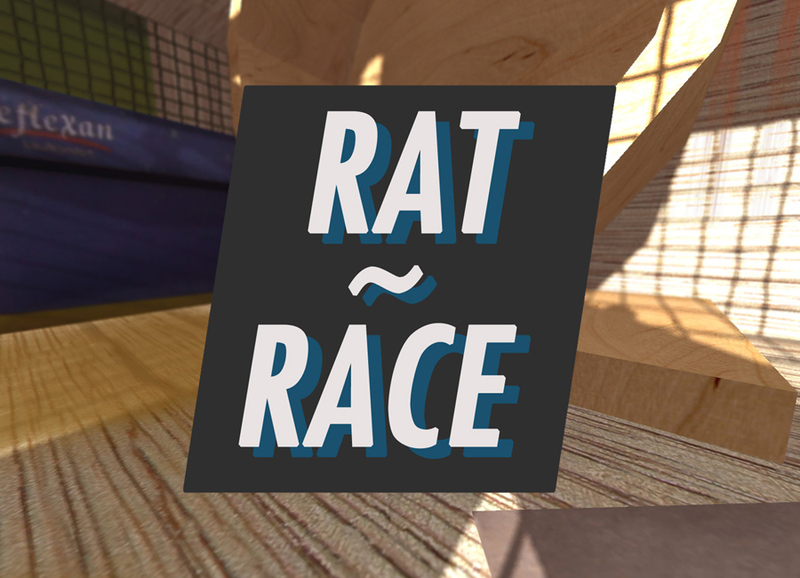 RAT RACE is a short art game about living the life of a rat in a cage. 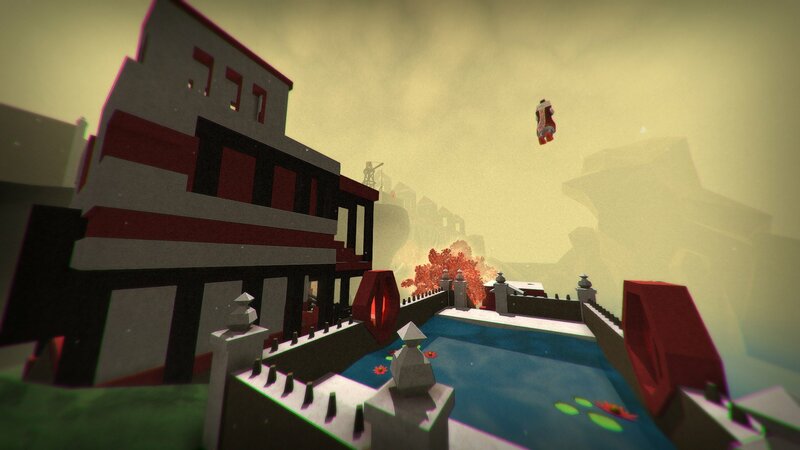 It was created as an entry for the Notgames Fest 2013. SABAH is a browser-based building game, made as a contract work for the Zoo Leipzig in cooperation with Ungestalt. 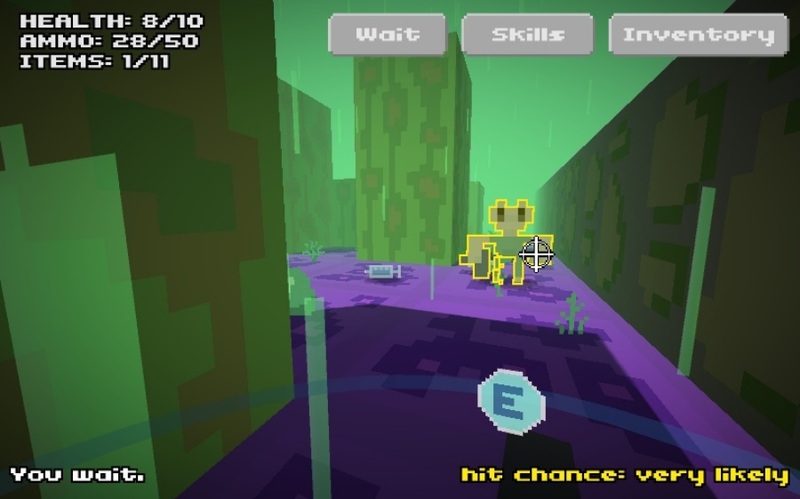 Rat King was responsible for the game design and the complete implementation, KingLudi composed the music. 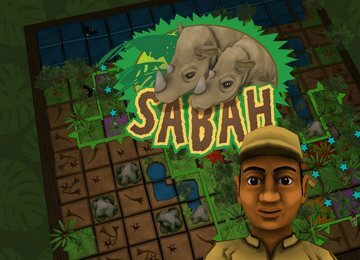 The game is educuational and strategical - the player has to prevent the deforestation of the rain forests and the extinction of the Shaba rhino. 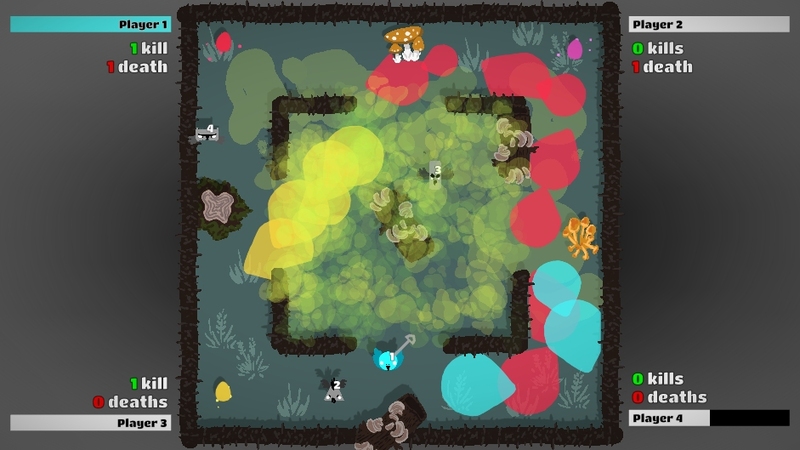 It is playable on the website of the zoo. SOLITUNE is based on Jana’s idea and concept and was sponsored by the Art Foundation Sachsen-Anhalt, so it was even presented at an art exhibition in November 2016. 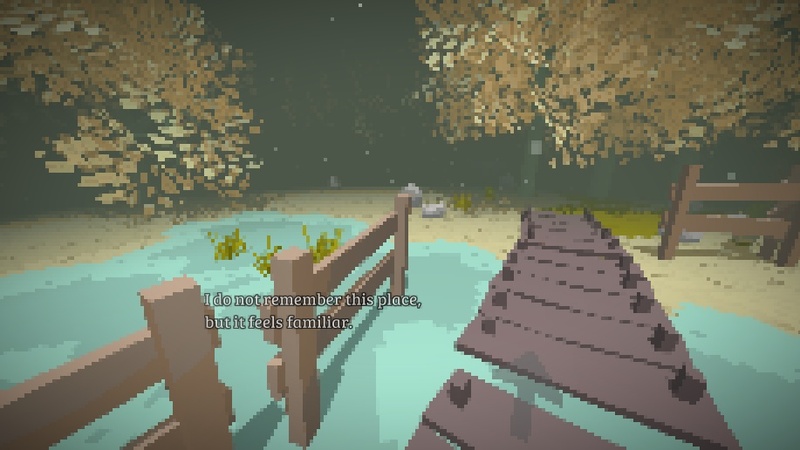 It’s a short adventure point&click-like game about escapism and sheep. KingLudi composed the music for it. There is a German wiki entry which also has a link with an experimental APK for Android phones (at the bottom of the page). In TALE OF SCALE you play a boy with a dangerous amount of imagination - he can take things from afar and drop them again, thus changing their size according their perceived perspective. 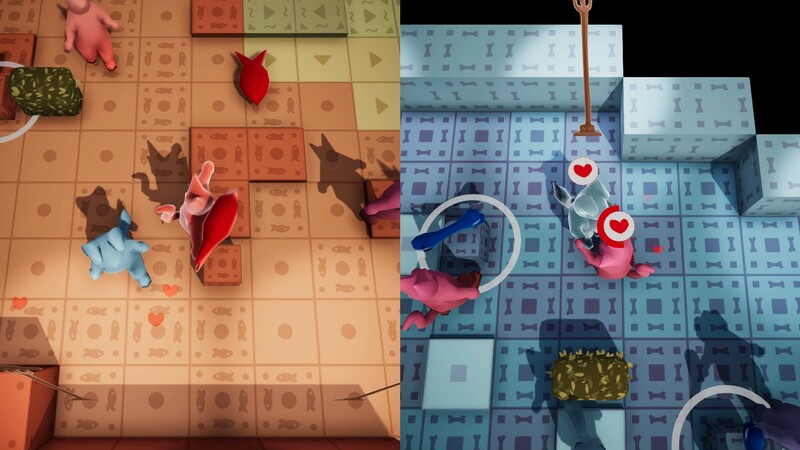 With this strange skill players have to beat the three levels. 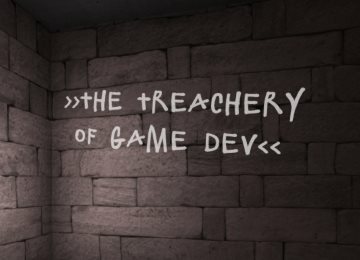 Made by Friedrich for Ludum Dare 25 in 48 hours, the theme was ‘You Are The Villain’. 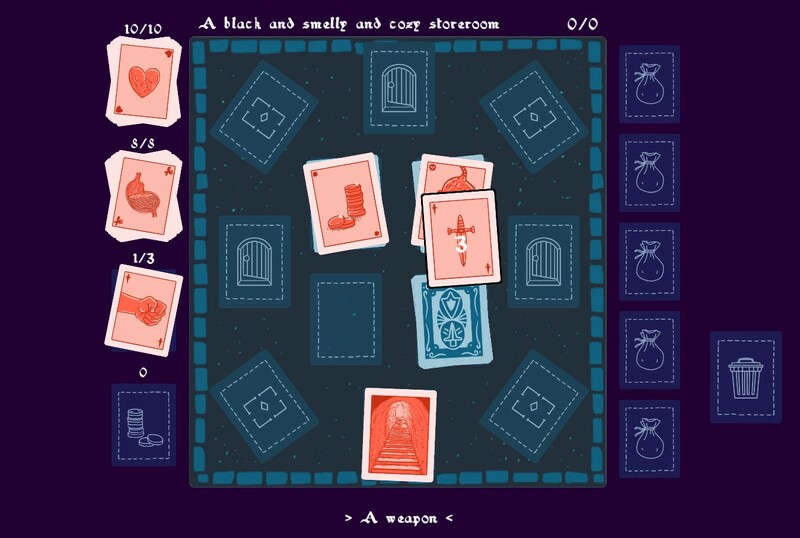 For those interested, there is a post-mortem, and also a gameplay video. 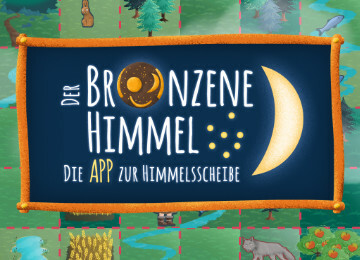 THE BRONZE SKY is an educative app for smartphones that teaches about the Nebra Sky Disk in a fun way. 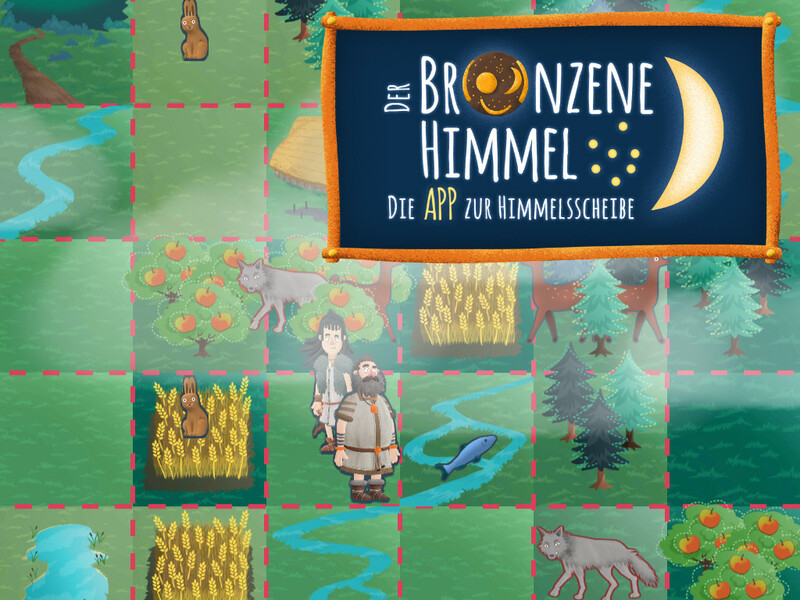 Various animations, puzzles and texts inform about the history of this artifact. 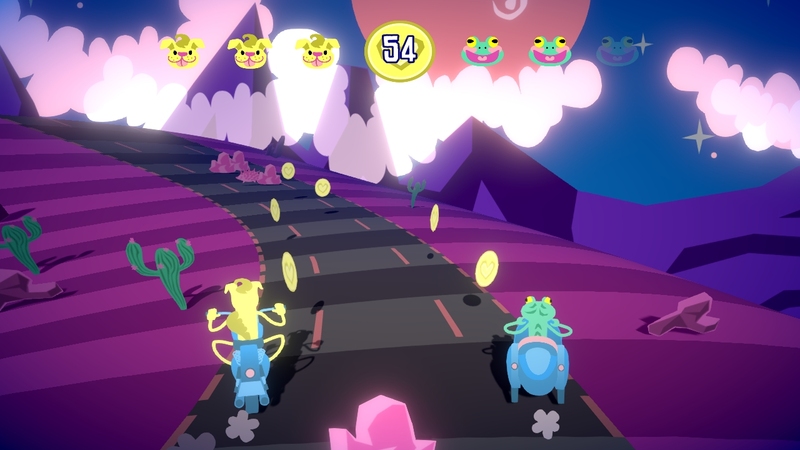 We were commissioned to create a game that would also be embedded into the app (which is why it doesn’t have its own name), and that would let players re-live the time when the sky disk already became an object of worship, 4000 BC. Playing as either Mimo or Leva, it’s up to the player to gather as much bronze as possible. 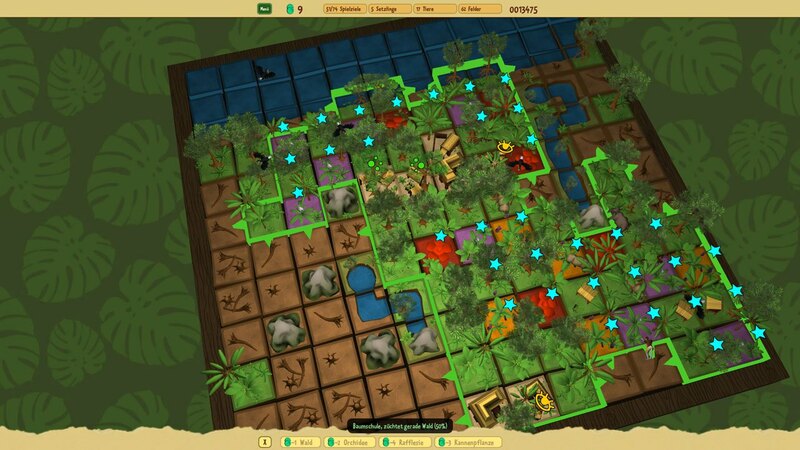 This is done by harvesting, hunting and gathering resources and trading them for tools and jewellery. THE BRONZE SKY is the brainchild of MotionWorks GmbH, and was funded by the Mitteldeutsche Medienförderung and the state of Saxony-Anhalt. It’s available on Android and iPhone/iPad. 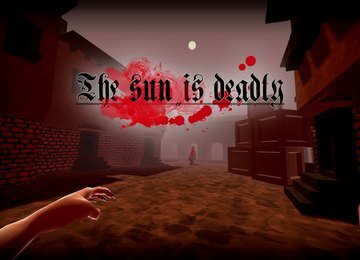 THE SUN IS DEADLY, because you are a vampire. You feed from the citizens of the old towns, hide in the shadows and use telekinesis to build a path of darkness out of crates. Knock out the guards by sucking them dry. Eventually, find the Golden Box of Jewels so you’re able to allure the most beautiful Virgin to your dark home … the graveyard! 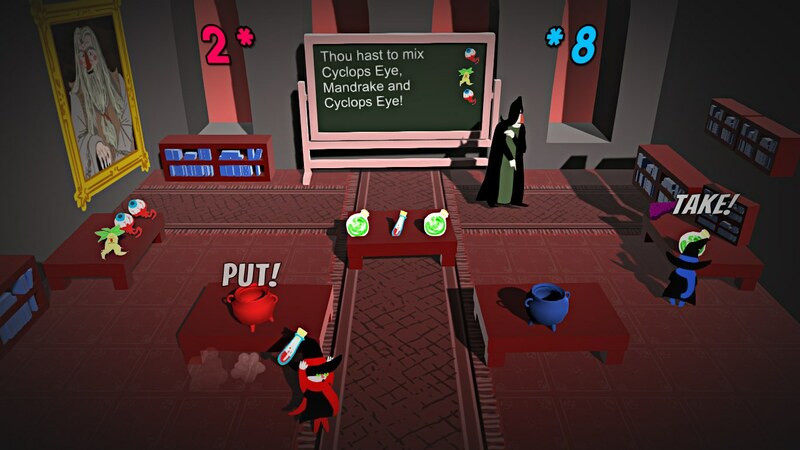 This game was originally made for the Indie Buskers game jam. 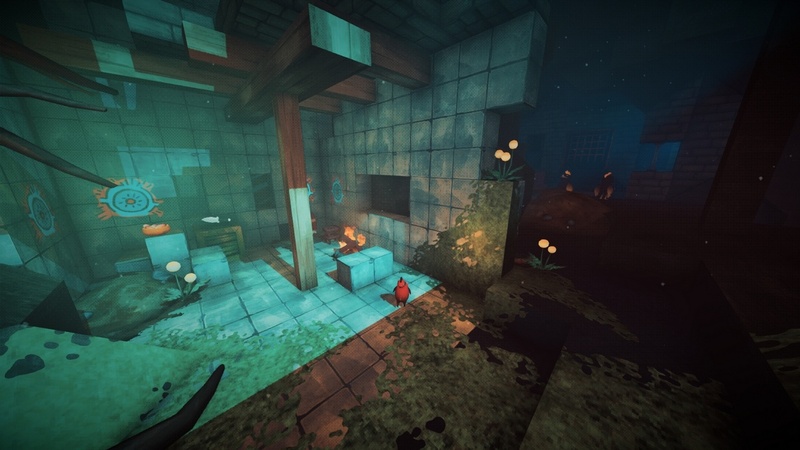 It is deeply inspired by Thief: The Dark Project and similar stealth games. Friedrich participated in the 7-Day-Roguelike Challenge 2017 and created THEY LOOK STRANGE AND HAVE TO DIE. Within a week a nearly-complete first-person, turn-based action-shooter with three levels was uploaded. 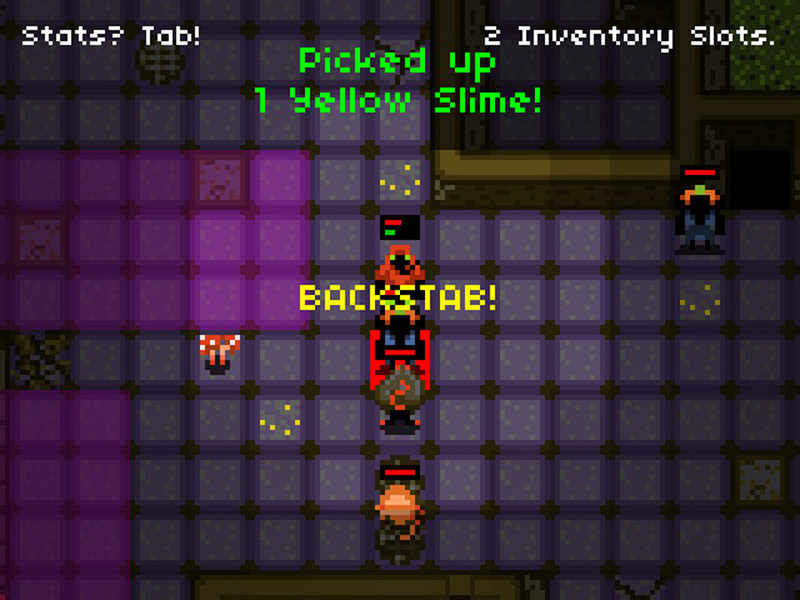 You have to kill aliens while searching for the exit. A video explaining the game more thoroughly exists. 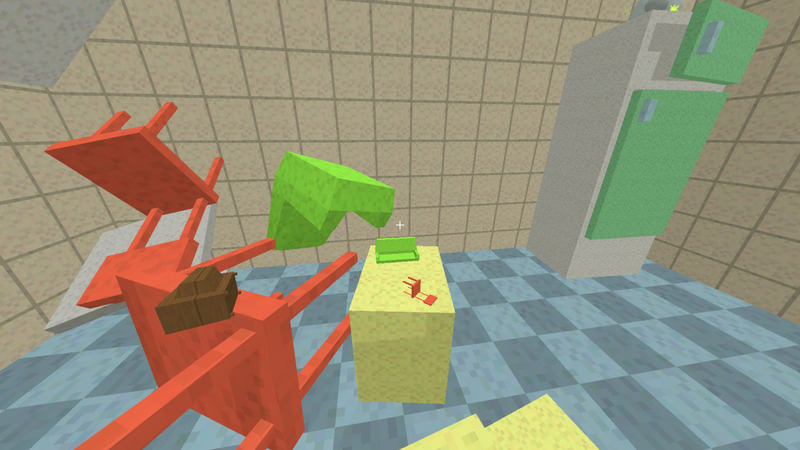 The theme for the online game jam Ludum Dare 38 was ‘Smallworld’. 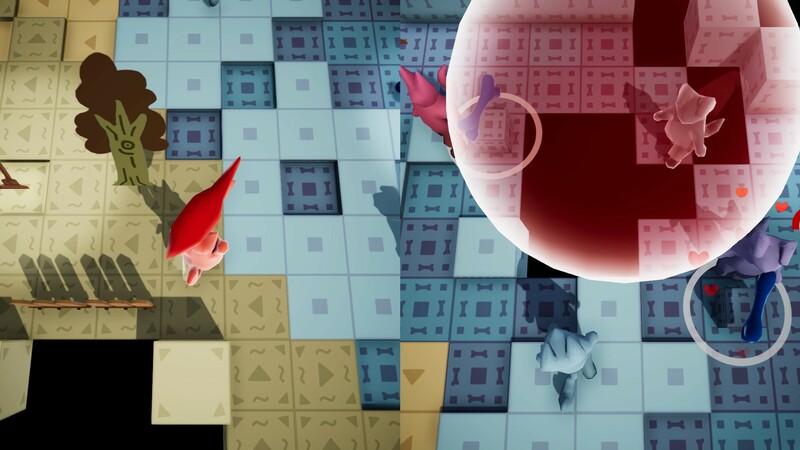 It inspired Friedrich to make something about the small world of programming, by transfering himself into a game about game development. 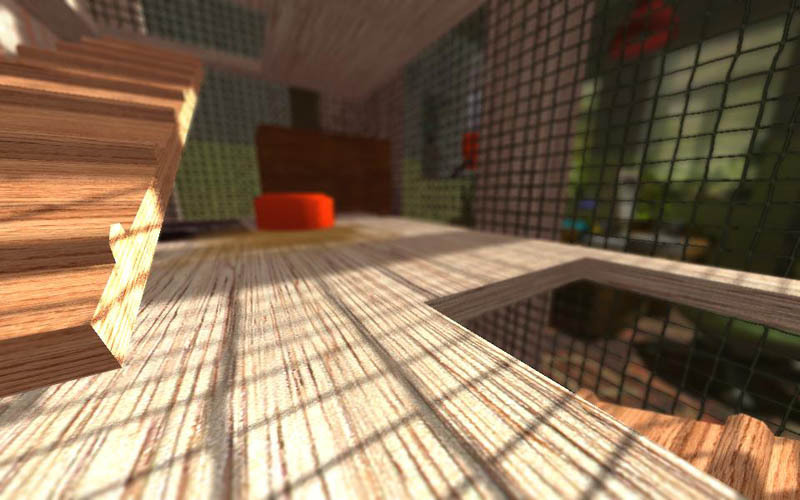 The result was a mix of first-person adventure, coding puzzler and arcade game. 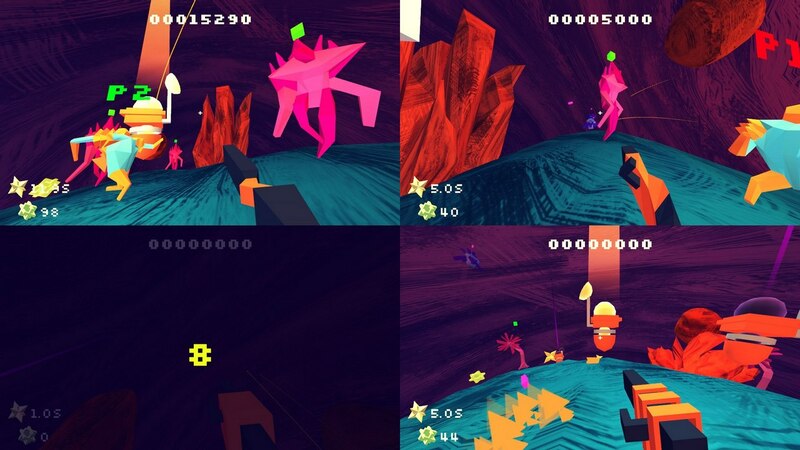 A short retrospective right after the jam is available on Friedrich’s blog. 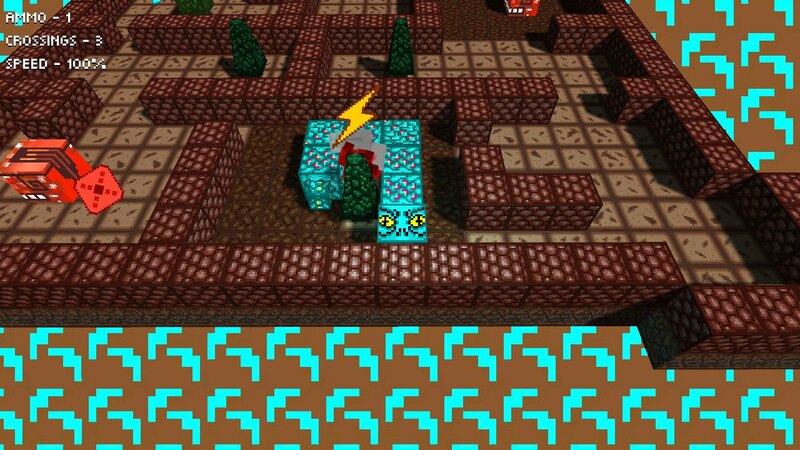 In TRI you place corner points onto walls to build walkable triangular platforms. 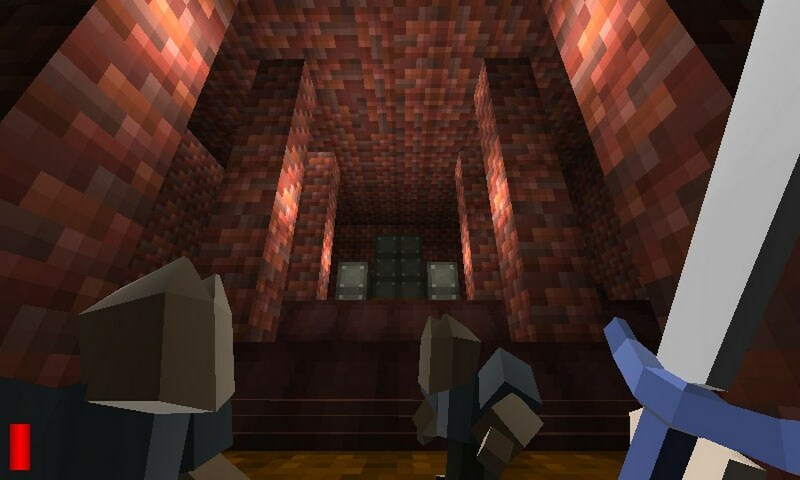 Find a way through the towers and dungeons of strange places. 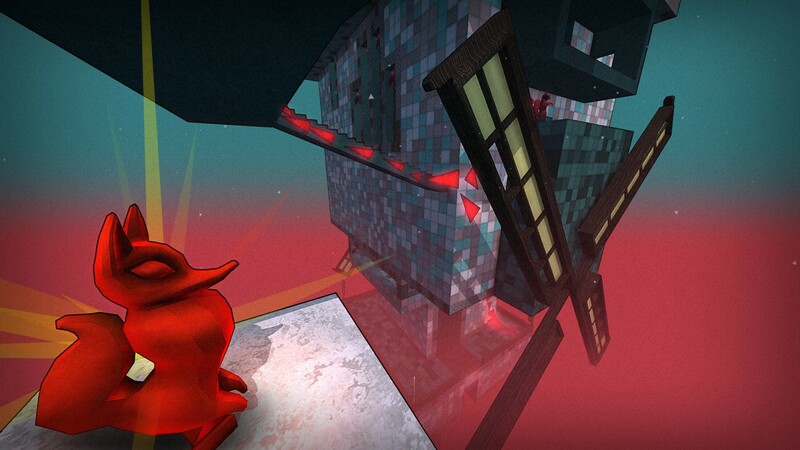 Solve puzzles, climb vertiginous abysses, reflect light-rays and try not to lose your mind when you’re falling upside-down. 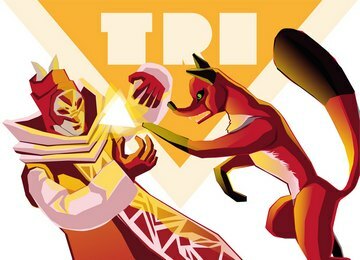 But don’t worry - the TRIs will let you create your own paths in this mystical world. 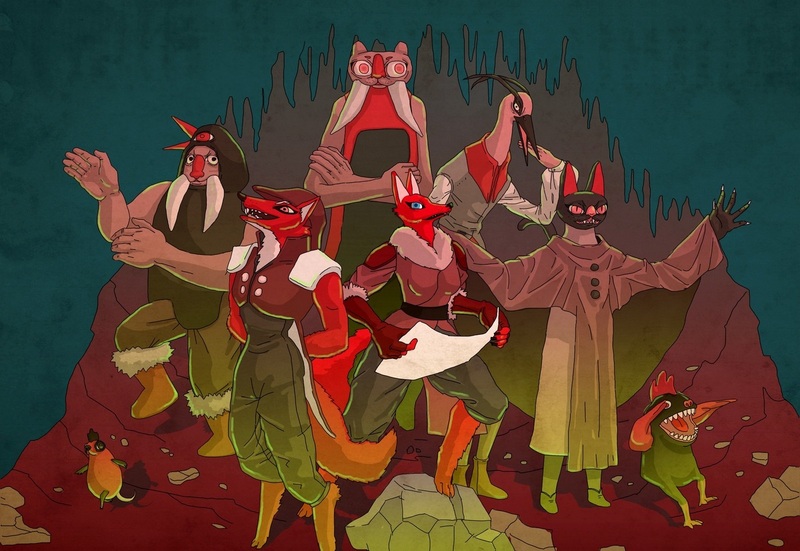 Follow the Monk and find the insane Fox! 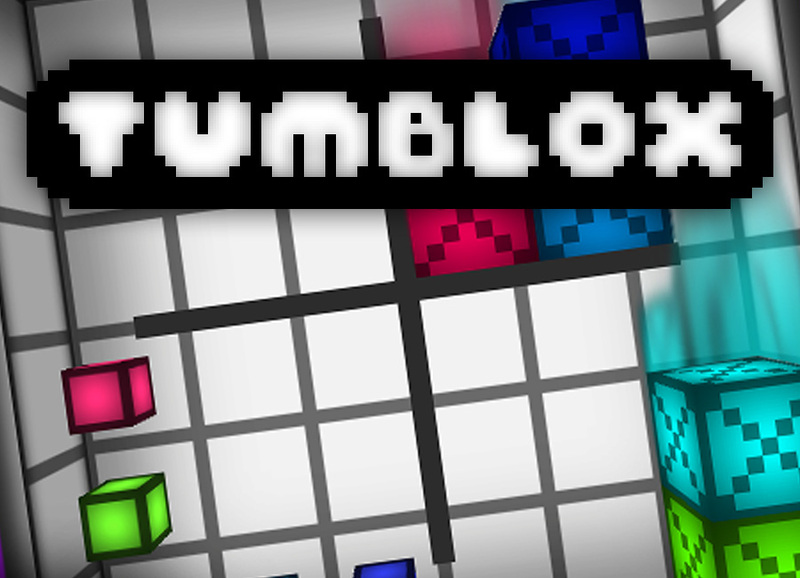 TUMBLOX is just a simple box full of boxes - and a big brain-twister. 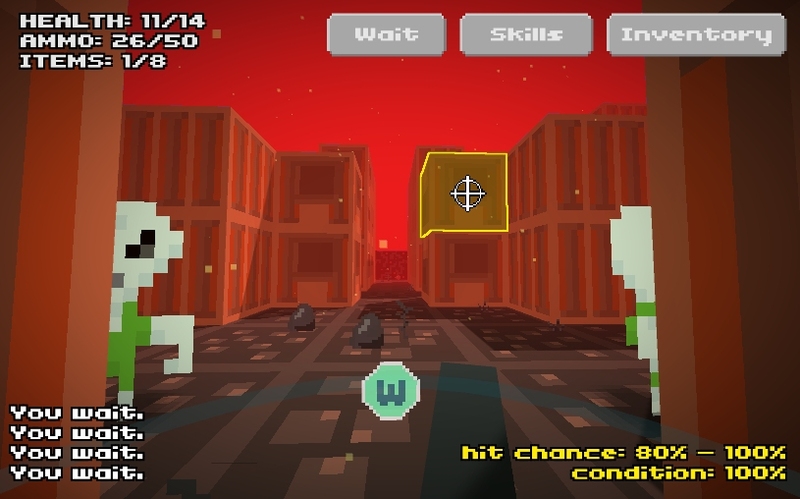 Players use buttons or the gravity itself to let cubes fall onto their destinations in over 80 levels. 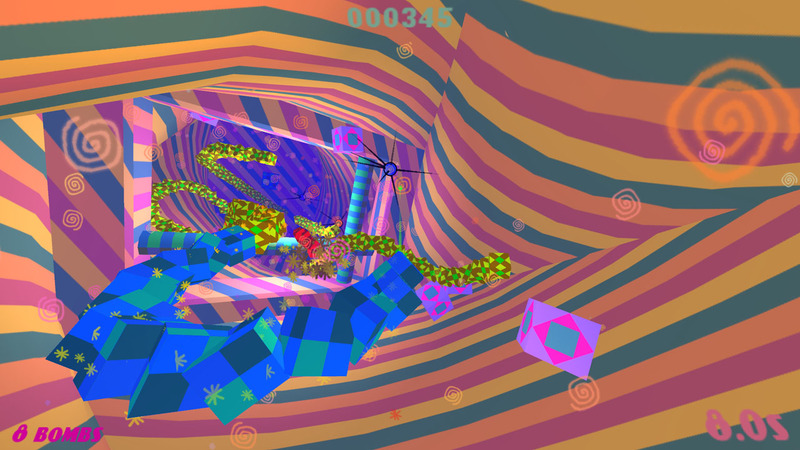 Portals and three dimensional levels add a twist to the gameplay. 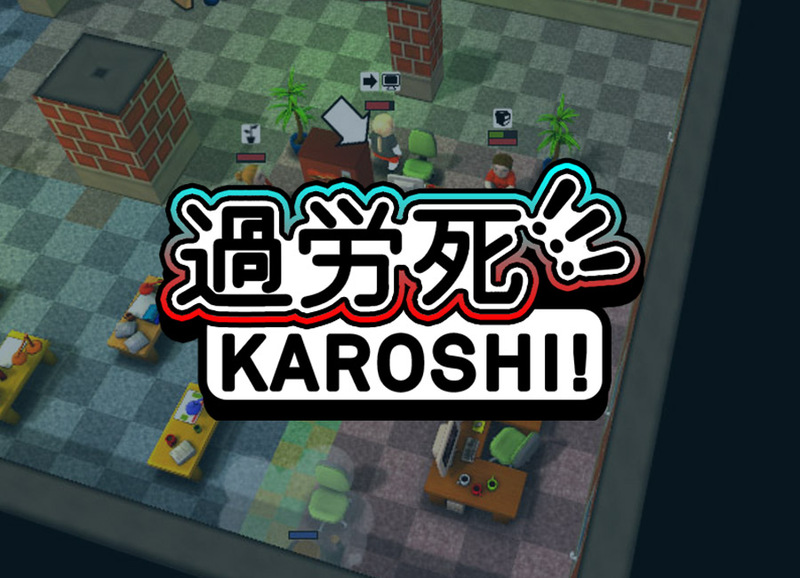 The game came out on iOS and Android. 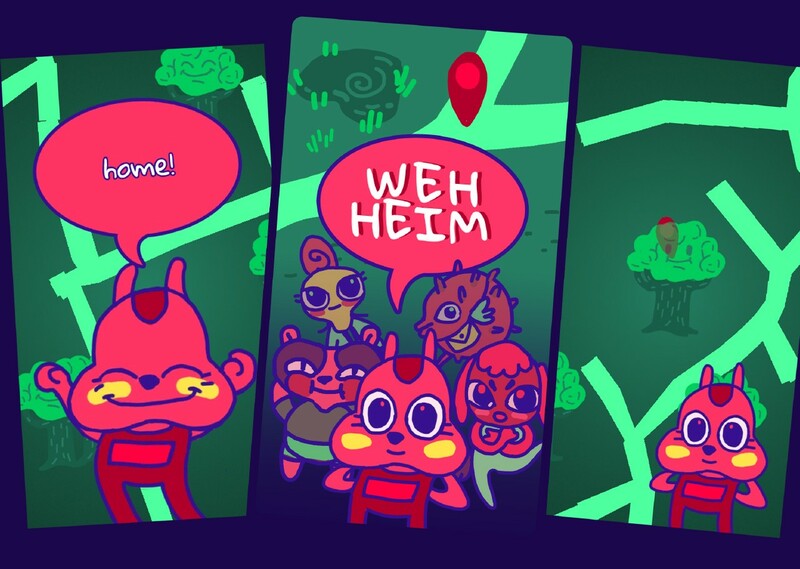 The Global Game Jam 2019 was the first time we would host a location in our own city. After having a lot of exciting jams in Leipzig we thought it would be great to try to organize the Global Game Jam in Halle, and so we did. 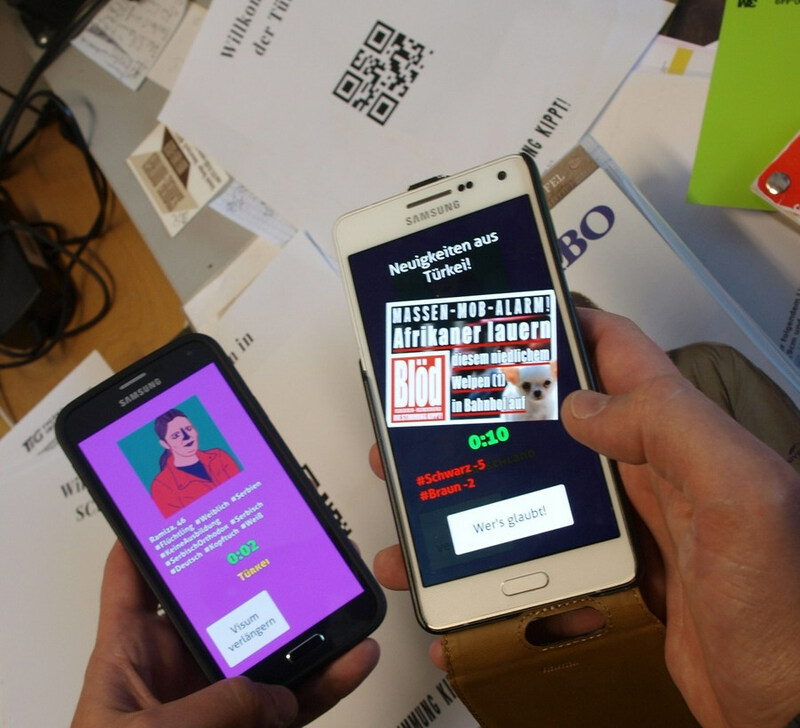 And not only did we organize the venue, we also created a little game called WEHHEIM. As the theme was ‘What Home Means To You’ we were inspired to create a location-based mobile game about a hamster who needs your help to find their home. So you have to walk around, meet strange fellows, and try to get near the hamster’s little house. You can find all the entries from Halle here! 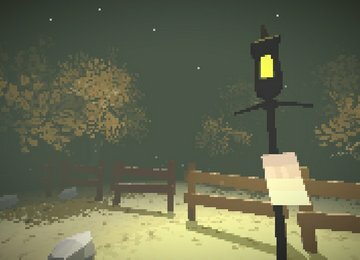 WOOD FOR THE TREES is Friedrich’s entry for the 35th Ludum Dare game jam. It’s a personal adventure game which is best enjoyed if the player takes their time and reads the texts. 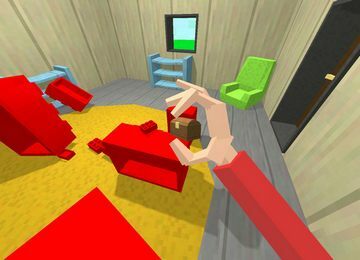 WUNDERWORLD was an entry for Ludum Dare 23, made within 2 days, and is more of a toy than a real game. 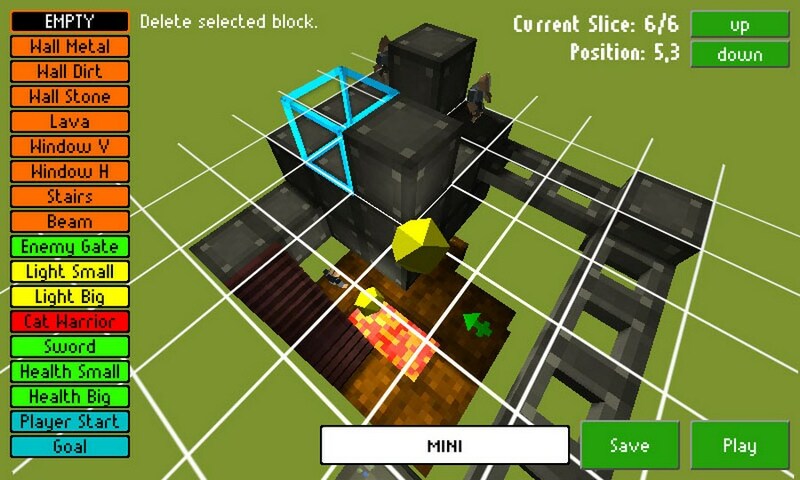 Create your own adventure, within a tiny dungeon! 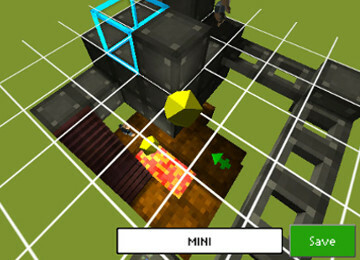 Players are able to instantly test any level they make within an easy to use editor.